Media captionDonald Trump: "Hopefully you'll be coming back at some point ... you can have your pick"
US Ambassador to the UN Nikki Haley has announced she is resigning - after nearly two years in the post. President Donald Trump appeared in the Oval Office alongside Mrs Haley to say she had done "an incredible job". The 46-year-old former South Carolina governor - one of the few women in the Trump cabinet - gave no reason for her exit, but dismissed speculation she was planning to run for president in 2020. Mr Trump said he would name a replacement in two-three weeks. Image caption Are Dina Powell and Ivanka Trump top amongst possible Haley successors? 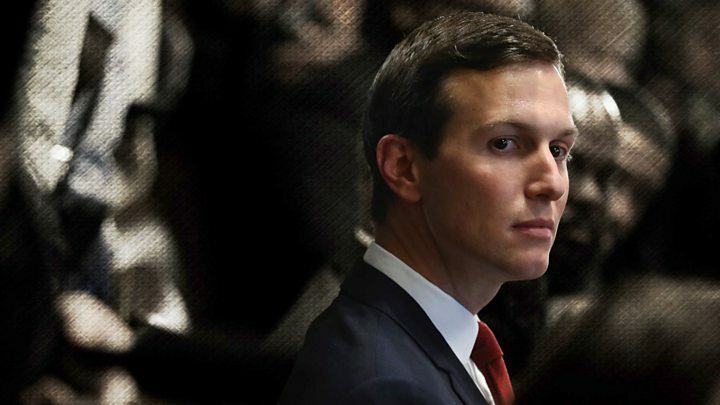 He said he would consider the candidature of Dina Powell - his former deputy security council adviser - and added that his daughter Ivanka "would be dynamite" as ambassador, but that he would be accused of nepotism if he chose her. Hours later, Ivanka ruled herself out of the race. What did Haley say about her abrupt move? Mrs Haley did not give details about her move - or what she would do next. "It's been eight years of intense time, and I'm a believer in term limits," she said referring to her time in public office. Mr Trump said Mrs Haley had told him some time ago she wanted to take some time off. 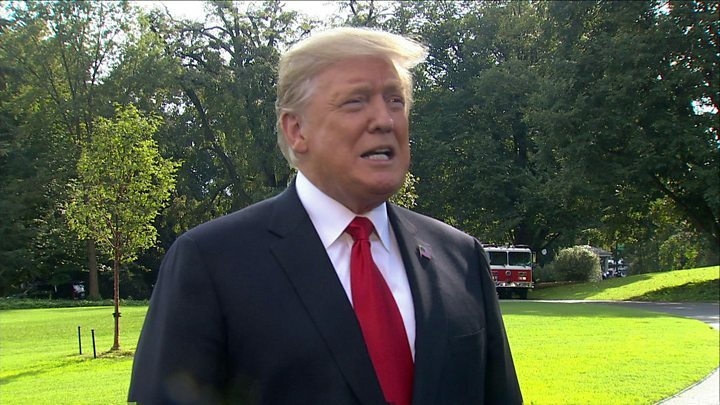 Media captionPresident Trump: "I'm not sure there's anyone more competent in the world." A former governor of South Carolina, she's a talented politician who's widely spoken of as a future female US president. Though she has ruled out challenging Donald Trump in 2020, we have not heard the last of Nikki Haley. Has Mrs Haley's tenure been smooth? Mrs Haley's resignation comes a day after an anti-corruption watchdog accused her of accepting seven luxury private plane trips as gifts from South Carolina business leaders. Citizens for Responsibility and Ethics in Washington said Mrs Haley had undervalued the cost of the flights by tens of thousands of dollars in an annual financial disclosure report. In April, Mrs Haley clashed with the White House when a Trump aide suggested she had prematurely announced a round of sanctions against Russia. White House economic adviser Larry Kudlow suggested she had got "ahead of the curve" and had a "momentary confusion". But she fired back hours later telling Fox News: "With all due respect, I don't get confused." Mrs Haley was a frequent critic of Mr Trump during his election campaign. She had said that women who accused him of sexual assault "should be heard". At one point she suggested that Mr Trump's rhetoric could trigger a world war. What is the reaction to her departure? Republican lawmakers praised Mrs Haley on Tuesday after news of her resignation broke. Retiring Speaker of the House Paul Ryan said: "She challenged friend and foe to be better." Senator Robert Menendez, the top Democrat on the Senate Foreign Relations Committee, called her departure "yet another sign of the Trump Administration's chaotic foreign policy". He added that he is "deeply concerned about the leadership vacuum she leaves and the national security impact of her departure at this time of continued disarray".